Bulgaria is a romantic European country with green mountains, millenary SPA tradition and great history. The modern life is related to the pleasure of shopping in the big malls and the interesting evenings to spend in the discotheques, piano bars, night clubs and casinos. Day 1 – arrival at the airport of Sofia. Transfer to hotel Festa Chamkoria 4* in Borovets. Accommodation. Dinner. Overnight. Borovets is the oldest winter resort in Bulgaria and the biggest Bulgarian ski center by length and capacity of the ski slopes and equipment. During the warm months, Borovets offers wonderful conditions to relax among the freshness of the ancient conifers, the meadows dotted with flowers and herbs, the numerous lakes and the snowy peaks. The resort is a favorite place and a starting point for many tourist routs and jaunts in the pictorial Rila. Hotel Festa Chamkoria 4* is located in the ski resort Borovets, among the beauty of the century old pine woods. The luxury hotel is the perfect choice for a family vacation or a romantic retreat in the mountain. The blends of wood in the reception area and the lobby bar create a cozy atmosphere. The interior of the hotel offers lots of light and wide spaces in the rooms and in the common areas. The large windows in the lobby and the reception area reveal beautiful views of the surrounding pine woods. Day 2 – Day 3 - breakfasts and dinners in hotel Festa Chamkoria. Overnights. Time to explore the mountain, to relax on the terrace or meet the old SPA traditions in the famous SPA center. Day 4 – Breakfast. Departure to Sofia. Accommodation in Thracia hotel 4* in the heart of the city. 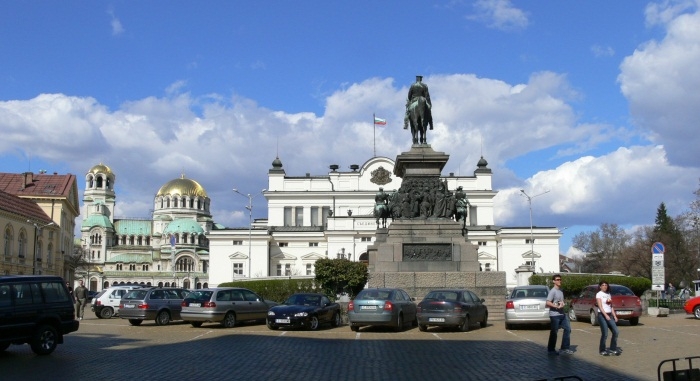 Sofia – a modern European city with millenary history. The visitors are attracted by the monuments, the museums, the shopping in the large malls, the nightclubs and the casinos. Situated in the very heart of the city, the hotel is in immediate proximity of all major business, financial, and cultural institutions, as well as of boutique shops and various entertainment places and offers easy access to numerous tourist sights. Best Western Premier Thracia Hotel offers an ideal accommodation for business and leisure travelers, in terms of quality of service, quiet and professional ambiance and equipment. A guided walk tour of the city center in English to get acquainted with its long and turbulent history (approx. 1,5 hours with an option to be extended to 3 hours). Dinner in an Indian restaurant. Overnight. Time for shopping, visiting and leisure or optional one day excursion to Rila Monastery and the Boyana Church (25 euro/pp in summer and 35 euro/pp in winter). Rila Monastery is one of the most impressive UNESCO world heritage sites in Bulgaria and it is the largest Eastern orthodox monastery in Bulgaria. It is situated 117 km (73 mi) south of the capital Sofia. Founded in the 10th century, the Rila Monastery is regarded as one of Bulgaria's most important cultural, historical and architectural monuments and is a key tourist attraction for both Bulgaria and Southern Europe. The whole complex occupies an area of 8,800 m² and is rectangular in form, centered around the inner yard, where the tower and the main church are situated. Return to Sofia. Visit the Boyana Church, located on the outskirts of Sofia. It is a true masterpiece of the Bulgarian Middle Agesand the avant-garde of the European Renaissance. Its frescoes dates from 1259 year and it was declared by UNESCO a World Cultural Heritage. Overnight. Day 6 – Breakfast. Free time in Sofia. Transfer to the airport.